First off I'm super sorry that it took me this long to get this feature up and running, I've had some of these interviews for a few weeks now but I kept putting them off because I was hoping to get solid responses from a few other authors along with being swamped by school work. I'm currently taking a calculus class that is eating up a large chunk of my time so I've not been able to do as much reading and blogging. To make up for that though I've got some crazy amazing (I hope) interviews and giveaways lined up for you guys. This year's spooktacular is going to be a WHOLE lot shorter than last years (again, sorry about that), but I have a fantastic line-up of authors. I'm not going to share them with you until they are revealed the day the interview goes up, but I'll just say that I including today's author I have 7 and there are one or two special editions that might be added, you'll just have to wait and see! 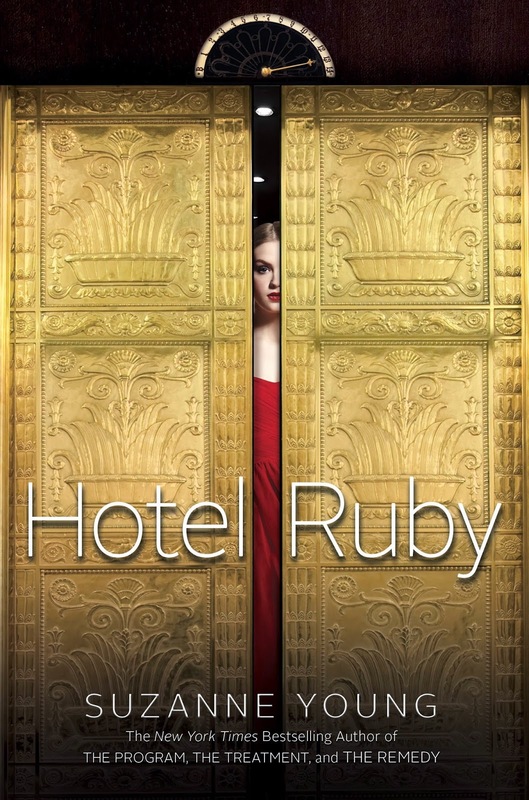 Once Upon A Teen Reader: How would you describe HOTEL RUBY in 10 words or less? 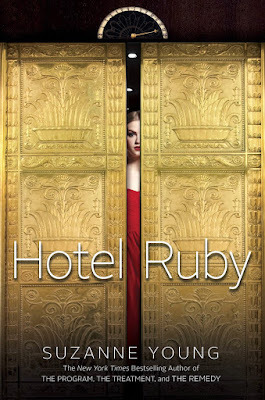 OUATR: All of your books/series are so different from one another (although now that I think about it many of them have an underlying theme of dealing with grief), where did the idea for HOTEL RUBY come from? SY: Originally it started with the idea of “Hotel California for teens”. But on tour, I stayed at a creepy hotel in San Francisco--I was sure my entire floor was haunted (it’s a long story), and that helped feed the book descriptions. I ended up writing an entire pitch and synopsis on that trip. OUATR: This book fell more into the psychological horror aspect as opposed to an in-your-face scare fest. How did you go about creating an atmosphere like that? SY: To be honest, I wanted to go with more slash and terror at first, but as the book progressed, I realized it was more complicated than that. For my character, losing her family was the most terrifying thing at all. It made sense that the heaviness of loss stuck to her bones and it almost made the scary stuff around her more manageable. With that said, I still wanted that feeling of dread, of something just behind your shoulder, breathing down your neck. OUATR: There are no shortage of possibly haunted hotels in this country, is The Ruby based on any one in particular? What kind of research went into working on the book? SY: I honestly can’t remember the name of the hotel, but the hotel in San Francisco helped with the descriptions of the 13th floor. Otherwise, I’ve always been fascinated by hotels and I ended up looking up hotels from the 20s and 30s for inspiration. I also went on a few ghost tours to see how a business would sell the idea. OUATR: What's next for you? SY: I have THE EPIDEMIC, sequel to The Remedy, coming out in April. It will finish the duology which leads directly into The Program series. I also have some surprises, and another book in fall. 2. Would you survive in your own book? Uh…no. 3. What is your favorite scary movie? I'm not sure I have one. I watched so many as a kid that I think I ruined the part of me that can watch them now. Haha I’m a total “peek through my fingers” movie-watcher. 5. What YA horror/thriller would you recommend? Oh, gosh. That’s tough! I used to love Stephen King growing up. I think a current great read is THE WALLS AROUND US by Nova Ren Suma, and loved TEN by Gretchen McNeil. 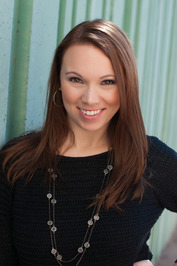 Suzanne Young is the New York Times bestselling author of The Program series. Originally from Utica, NY, Suzanne moved to Arizona to pursue her dream of not freezing to death. She is a novelist and an English teacher, but not always in that order. Suzanne's publisher, Simon Pulse, has generously donated an ARC of Hotel Ruby, which means that one of you will end up winning it! Because this is an ARC from a US publishing house the giveaway is US only, but I do promise that there will be at least one giveaway that is open internationally! Oooo this book sounds really cool, although I haven't read any of Suzanne's other books! I love the description of The Shining meets The Great Gatsby because I love both novels and who wouldn't want to have a combination of both?? Great interview and thanks for the giveaway! I've heard very great things about this book! Thanks for the giveaway! Oh yay! This has been on my TBR list for a while. Thanks for hosting the Spooktacular event! Looking forward to all of the great interviews. I've read all of Suzanne Young's books! The Program is one of my all-time favorite series. I am so excited for Hotel Ruby because it's an entirely different world from Young's other books and I cannot wait to see what she happens!! I loved the interview because it gave more background to the book. I didn't know that it was her experience at a hotel in San Francisco that inspired her to write this book. I have read Suzanne Young's books!!! I just love her writing style. I immediately put Hotel Ruby on my wishlist. I cannot wait to read this new release from her! I have her Program trilogy. This one sounds perfect for right around Halloween! I haven't read any of Suzanne's work yet, but after this post, I'm intrigued. I haven't read anything my Suzanne yet, but I met her and own The Program, so I hope to soon! Thanks so much for the giveaway! This sounds awesome. I started reading the treatment, and never finished it because it freaked me out. I did read Just Like Fate by this author though, which was an interesting concept. Ohh. This book sounds like a great spooky read. I like the breathing down your neck aspect. Creepy as hell.